Don’t over cram your carry-on this holiday season. Here’s the rundown on the best (and worst) airlines for excess luggage so you don’t get stung with extra charges at the gate. Don’t over cram your carry-on this holiday season. Here’s the rundown on the best (and worst) airlines for excess luggage so you don’t get stung with extra charges, with the help of flight booking experts, KAYAK.com.au. Packing for an international holiday can be overwhelming at the best of times, especially when taking into account the many different luggage restrictions (and subsequent fees). To avoid getting hit with additional luggage charges at the gate, here are some of the best airlines to watch out for. But remember to always read the fine print for cabin luggage restrictions, which vary dramatically from carrier to carrier. 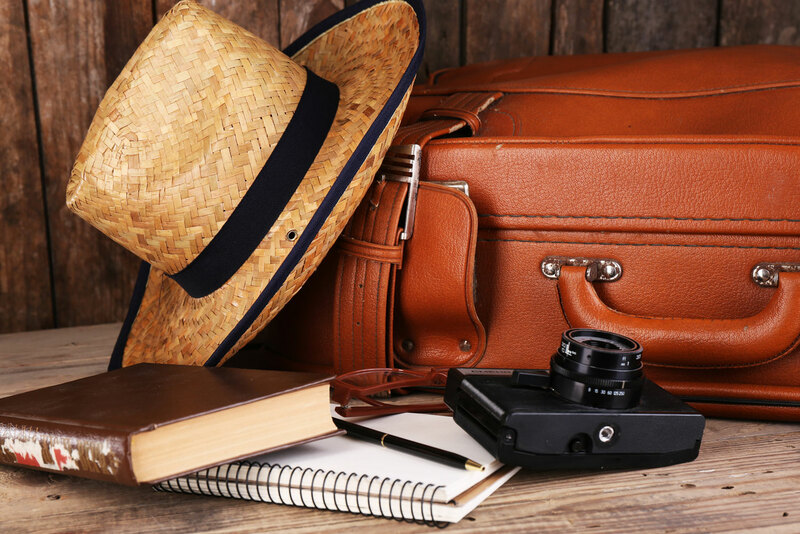 The best by a country mile, British Airways is your best bet for complimentary carry-on, allowing a massive 23 kilograms. Most other airlines offer significantly less. Sometimes it’s simply not possible to go without that extra coat or pair of shoes. If you know your bag is likely to be overweight or oversize, Jetstar is the cheapest option, charging just $50 for an additional bag on short-haul flights. It’s important to look closely at the conditions of your fare. Some airlines such as Air New Zealand and Etihad charge different fees for different destinations, particularly the United States. 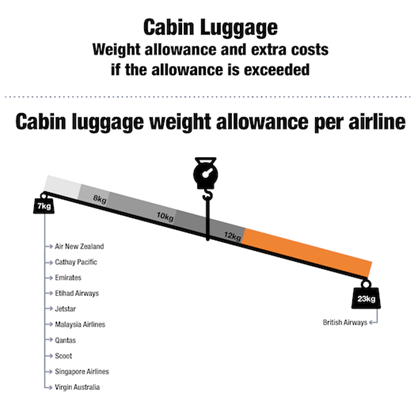 As a general rule, most airlines charge people with excess luggage a flat fee per additional bag but others, like Emirates, Singapore Airlines and Scoot, will require you to pay a cost for every kilogram exceeded. If your baggage is only slightly overweight this might be a cost effective option but it’s important to consider the conditions of your airfare and what destination you’re flying to. Virgin Australia’s baggage regulations are particularly tricky – for short-haul passengers are charged a fee of $120 per additional bag while on long-haul flights the policy switches and passengers are made to pay $70 per overweight kilogram.